Blog readers want the content to be in a format they can access easily. Sitting in front of a computer, entering a web site and then searching for content has begun feeling outdated to many smartphone users. Keep reading more about how to convert blog to app. Particularly in a world where the speed becomes ever more important and everybody inclining towards the mobile every day, it gets more important to be able to any content at any moment. Providing the followers of your blog with what they want via a mobile app that is created with a focus on user experience will increase both user loyalty and views of your content. Whether you are an experienced or new blogger, you should know that if you don’t have a mobile app for your blog, you are missing on a lot. So, what benefits can owning a mobile app provide you with regarding your blog? According to latest statistics, 86 percent of all time spent on smartphones are spent on mobile apps. This rate is too large to ignore. Enabling your content to be viewed anytime and anywhere the followers desire may help with both increasing recognition of your blog and more of its content getting consumed. Publishing a mobile app for your blog may help you with getting noticed in never-ending competitiveness in the world of bloggers. Mobile users quickly accessing your content can have a positive impact on the image of your blog, and therefore help with stepping ahead of your competition. A mobile app will also be effective for providing traffic towards your blog. According to surveys, 8 out of 10 smartphone users check their social media accounts and other favorite apps before beginning their daily routines. They repeat this action also during the night, before sleeping. You can get your regular blog visitors to download your app and read your blog before beginning and after ending their daily routines. Jimmy Maymann, CEO of The Huffington Post, states that he finds the focus by content creators on mobile sites instead of mobile apps to be wrong. Maymann states that, the users who download The Huffington Post mobile app view ten times as much content as the users who visit the mobile site. Another important example is BuzzFeed. Users who view content over BuzzFeed mobile app view between 22 to 25 more content than users visit via the website. You use for your blog’s app, one of the nicest features smartphones provide for the apps: the push notifications. You can notify your users every time you publish a new article, and keep the up to date about your blog’s content. You use for your blog’s app, one of the nicest features smartphones provide for the apps: the push notifications. You can notify your users every time you publish a new article, and keep the up to date about your blog’s content. You can also help your followers to share your content easily over the social networks. On your mobile site, users would need to copy content’s link, leave the browser, go to social network’s app, and share the link there themselves. Instead, you can allow your mobile app to work in concert with other apps and make this sharing process to be much easier. 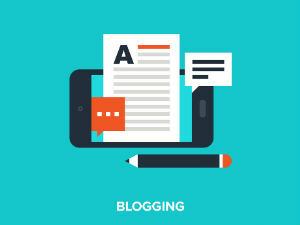 A mobile app for your blog is a tool needed for both reaching new users and providing existing users with conveniences. If you too have a blog, want to convert blog to app so as to reach your readers, create your MobiRoller account right away and make a strong entrance into the mobile world.